Anthony Philipson is a British director well known for his striking work in dramas and documentaries, including his work on “Ross Kemp On Gangs”, for which he was awarded a BAFTA in 2007. 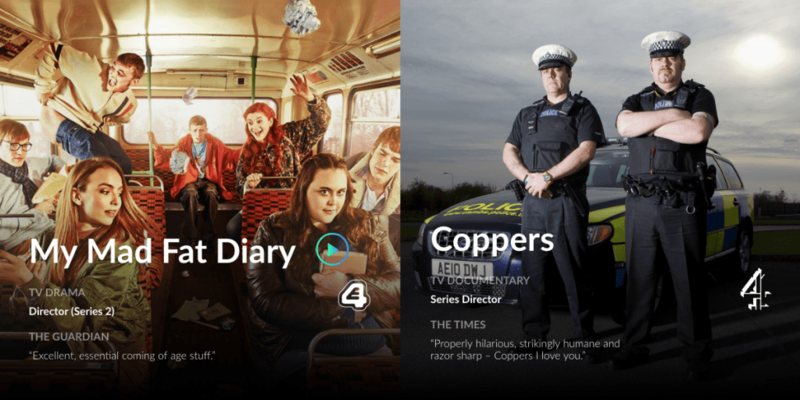 Anthony Philipson required an online space where he could advertise his work and list his accolades, as well as shine a spotlight on most successful works including popular titles “My Mad Fat Diary” and “24 Hours in A&E”. This would need to be showcased on a functional site that would be easy to use and keep his content (including his biography and awards/nominations list) front and centre. Thunderbolt designed and built a mobile-friendly HTML5-based site that looks good and functions comfortably across computers, laptops, and mobile devices of various screen sizes, with the tiled showcase resizing to fit screen dimensions. 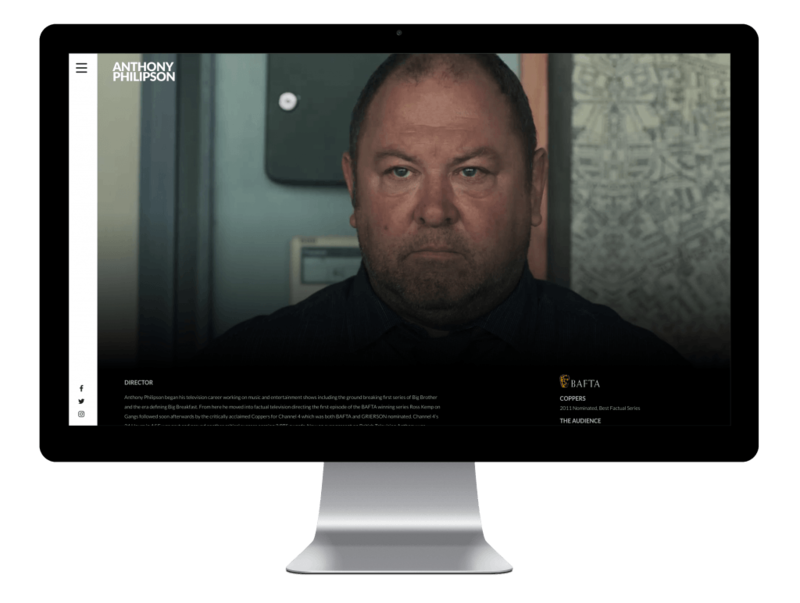 The design is simple, clean and minimalistic to ensure focus on content showcase rather than the site itself, with the main body of the site featuring a tiled showcase area of Philipson’s chosen projects with associated information, including Philipson’s role, the channel aired on, and a short quote sampled from reviews, as well as playback of a short clip or trailer of the project. 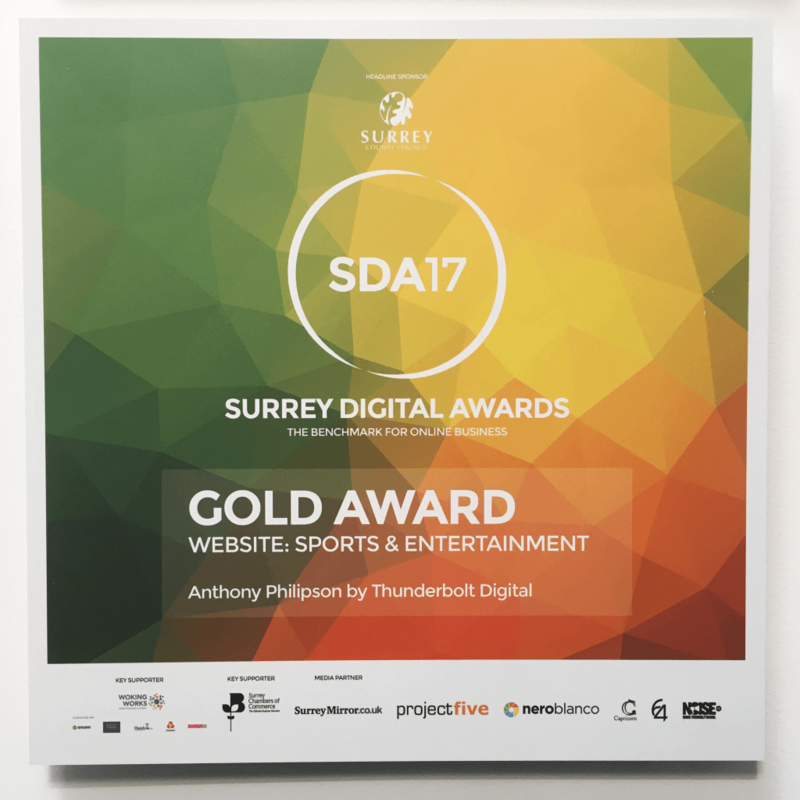 Judges at the 2017 Surrey Digital Awards agreed that the website is ideally suited to its purpose, awarding the site a Gold for best sports & entertainment website and Bronze for best responsive website.